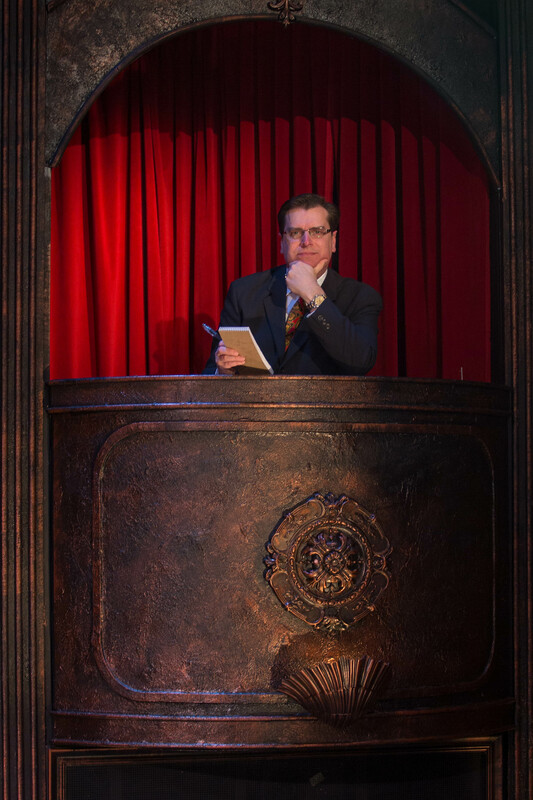 Paramount Theatre in Aurora has launched its eighth Broadway Series season with a pink perspective beaming with audience appeal. 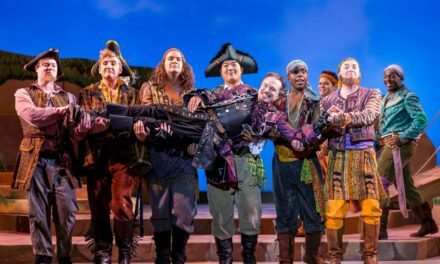 This new production is reimagined with some clever “accessorized” updates by Trent Stork, a veteran of 15 productions and casting director at Paramount, who is now shining in the spotlight making his Aurora directorial debut with this fun run. 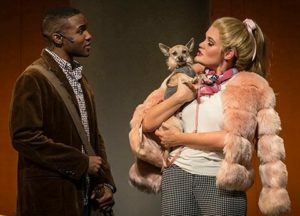 For his leading lady Elle Woods, Stork cast Chicago newcomer Casey Shuler to make her Paramount debut. 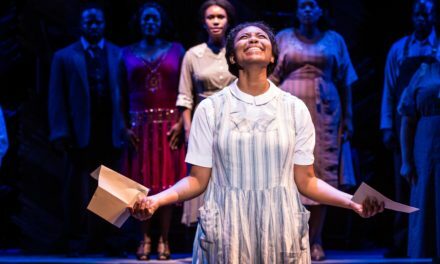 A recent graduate of the University of Kentucky in her home state, Shuler is a likeable and talented force with both comedic timing and polished vocals paired with a command of the stage. She stars opposite Gerald Caesar, who is also making his Paramount debut, playing her law school love interest Emmett Forrest. When “Legally Blonde” first had its Chicago premiere in the early summer months of 2009 when the Broadway national tour played at Ford Center for Performing Arts, Oriental Theatre, I was less than impressed, and recall writing a review that likened the ticket experience to a meal of cotton candy and licorice. 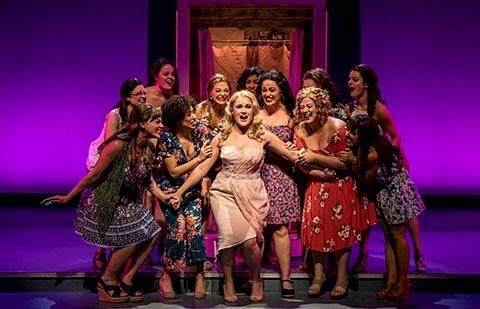 In February 2012, Marriott Theatre Lincolnshire produced the first Chicagoland regional run of “Legally Blonde” using every inch of their “theater-in-the-round” venue and my re-introduction to this stage story, the characters and the musical numbers, changed my mind, helped of course, by a who’s who cast of all-star talent. For Paramount’s triumphant turn, it’s music director and conductor Kory Danielson leading the 13-person Paramount Orchestra to create the scene and song journey that transports Elle Woods. She’s a member of UCLA’s Delta Nu sorority, who packs up her hopes and dreams (and her little lap dog) to say farewell to the beaches and golf courses of California and hello to the East Coast ivy-covered walls of Harvard Law School, as she tries to win back boyfriend Warner, played here by wavy-haired and perfect smile sporting Tyler Lain. Jacquelyne Jones is at her chilly and pursed lips best, as Vivienne Kensington, the rival for the romantic attention of Warner. James Rank captures every rigid and demanding detail of classroom dread factor Professor Callahan. There are funny twist and turns in every scene featuring the wonderful Sophie Grimm as down-on-her-luck beautician Paulette. The rest of the key cast includes Teressa LaGamba as Enid Hoopes, Kyrie Courter as Pilar, Lucy Godinez as Serena, Sara Reinecke as Margot, Jenna Coker-Jones as Brooke Wyndham and square-jaw dream man James Doherty enjoying every moment and winning audience waves and raves as UPS fantasy fellow Kyle B. O’Boyle. The ensemble features Brittany Coriaci, Danielle Davila, Gilbert Domally, Michael Ehlers, Lara Hayhurst, Will Herndon, Ruchir Khazanchi, limber Yando Lopez, Mallory Maedke, Maria Alejandra Montero Guzman, LaShera Zenise Moore, John Pletka, Sierra Schnack, Will Skrip, Anthony Sullivan Jr., Leryn Turlington, Aaron Umsted, J Tyler Whitmer and Missy Wise. 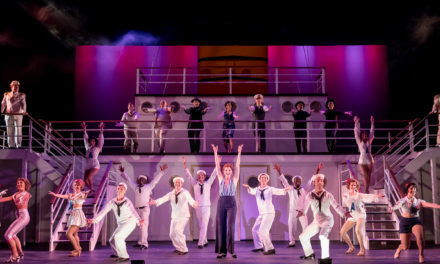 Some of the most sensational musical moments and the cast’s craft highlights come in the musical numbers such as “What You Want,” “Blood in the Water” and “Whipped into Shape,” the latter featuring synchronized precision jump-rope choreography. 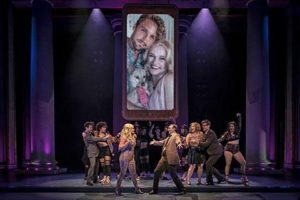 Paramount’s production team for “Legally Blonde” has Megan Farley as co-choreographer paired with Stork, Jeff Kmiec‘s top-tier scenic design framing Theresa Ham‘s parade of sensation for costume design highlighted by Nick Belley‘s lighting design. Adam Rosenthal captures sound design along with the stage highlights of Katie Cordts‘ wig, hair and makeup design and Jesse Gaffney‘s properties design. Calandra Daby is assistant director, Charlotte Rivard-Hoster is assistant music director with Maggie O’Donnell as stage manager and Matthew McMullen as assistant stage manager. Performances are 1:30 p.m. and 7 p.m. Wednesdays, 7 p.m. Thursdays, 8 p.m. Fridays, 3 and 8 p.m. Saturdays and 1 and 5:30 p.m. Sundays. Single tickets are $36 to $69. “Legally Blonde” is rated PG-13 for for some profanity and sexual references. The rest of the 2018-19 Paramount Theatre Season includes “The Wizard of Oz” (Nov. 14-Jan. 6, 2019), “The Producers” (Feb. 6-March 17, 2019) and “August Rush,” Paramount’s first world premiere musical, which will run April 24-June 2, 2019. Four-play packages start as low as $72. 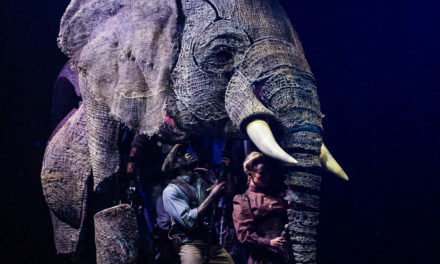 For subscriptions or single tickets, visit www.ParamountAurora.com, call (630) 896-6666, or stop by the Paramount box office 10 a.m. to 6 p.m. Monday through Saturday and before evening performances. Paramount Theatre’s Broadway Series, now in its eighth season, is sponsored by BMO Harris Bank, Dunham Fund, ComEd and City of Aurora. Legally Blonde is sponsored by Rush-Copley Medical Center.